During the Feb. 24, 2016 meeting regarding the apartments on Oak Creek, a representative of Council Member Leslie Pool’s office passed around a signup sheet for anyone who wants to be added to their mailing list. The next day a number of people received this email. 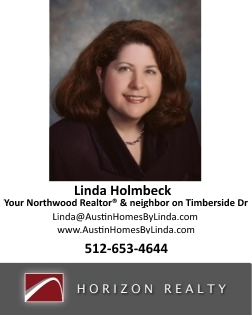 Anyone who wishes to contact her or be added to her email updates can send an email to District7@AustinTexas.gov. Since you have contacted our office on the Elysium Park project in the past, I wanted to keep you in the loop. As you may know, last night, the developer held a meeting at Abel’s North where they presented on their current proposal and took questions. Louisa Brinsmade (our land use policy advisor) and I both attended the meeting to listen and take notes, as did staff from Rep. Celia Israel’s office. We heard a number of concerns on things such as traffic, flooding, environmental issues, school enrollment, and a number of other issues. As with any such development that occurs in District 7, our staff are committed to working on these issues in depth if this project makes it to the city’s process for reviewing land use issues. At this point in time, the developer is trying to put together their financing for their proposal. If they make it beyond that stage, they will seek to re-zone the property. That will trigger the city’s processes for reviewing land use-related issues like many of the concerns we have heard over the past few weeks. If this project reaches that process, it will be reviewed by the neighborhood, our staff (and the staff of other Council offices), professional staff in our city departments, the Zoning and Platting (ZAP) Commission, and, after it has been vetted by all of those stakeholders, by City Council. I will continue to try to keep you in the loop on any future developments or opportunities to engage involving this proposal going forward. Additionally, there was some concern last night that some folks may not have been added to our email list on this item. If you know anyone who would like to be added to our email list on this item and has not yet received an email from our office, please let them know they can email us directly at District7@AustinTexas.gov and ask us to add them to the list. It is also helpful to include your neighborhood or address the first time you email our office, so that I can confirm your District 7 residency. Please do not hesitate to contact us on this or any other city-related matter at District7@AustinTexas.gov. Thank you! And have a good weekend.